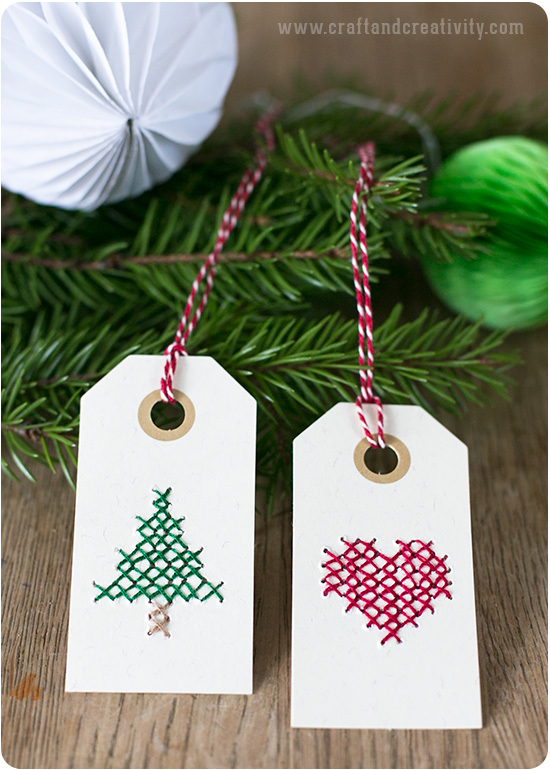 This entry was posted in Garn / Yarn, Jul / Christmas, Pyssel / Crafts and tagged christmas, cross stitch, diy, gift wrapping, honeycomb, inspiration, Make Create, matchboxes, Oi Paketti, paper craft, tutorial by Helena, Craft and Creativity. Bookmark the permalink. What a great idea. It looks so cut :-). Maybe i try it for myself. Åh vad fina!! Älskar dina pysseltips och är så himla nöjd med kalendern!! Vilka fina juletiketter! Jag har själv tänkt att prova göra liknande ett tag nu, men nu fick jag mer inspiration till att komma igång! Cuteness in any language! Thank you for sharing this! Hi, Helena! It’s really nice! I have’t seen anything like that. Good idea! Tx a lot. 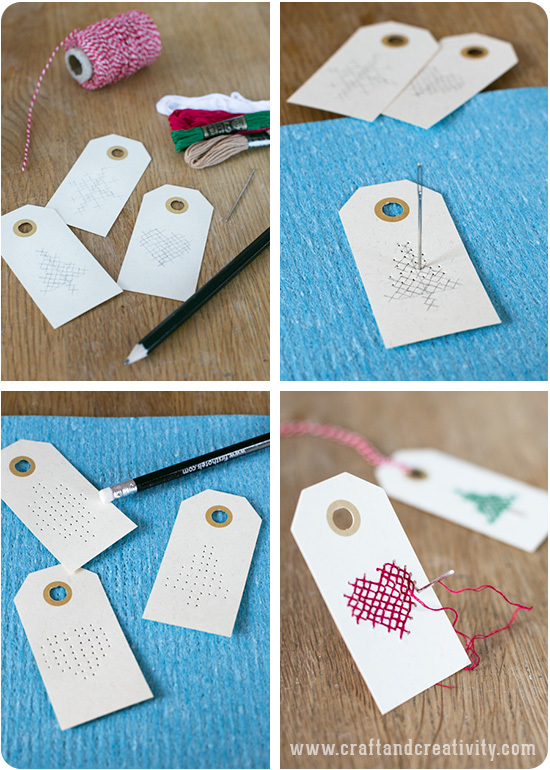 If you want a more even result you can use card canvas as a template to make the holes for cross stitching.